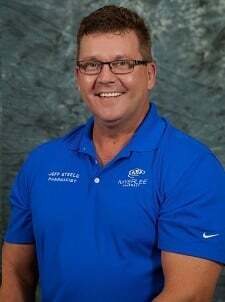 Jeff Steele, pharmacist, and owner of Myerlee Pharmacy graduated pharmacy school from West Virginia University in 1982 and has been practicing pharmacy in Lee County since 1984. Before Purchasing Myerlee Pharmacy with partner Milton Larrea R.Ph., C.Ph., Jeff worked at Walgreen’s and Charter Glade Hospital where he was the Director of Pharmacy for 10 years. Jeff has many areas of pharmacy expertise including retail, long-term care, and compounding, and hospital pharmaceuticals. Aside from being owner and pharmacy manager of Myerlee Pharmacy, Jeff enjoys golfing and spending time with his wife Lisa, and two sons Zachary and Christopher. 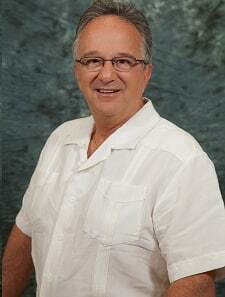 Milton Larrea, pharmacist, and owner of Myerlee Pharmacy graduated pharmacy school from the University of Florida. Before purchasing Myerlee Pharmacy with partner Jeff Steele R.Ph.,C.Ph., Milton worked at Walgreen’s and Charter Glade Hospital where he was the Director of Pharmacy for 10 years. Milton has many areas of pharmacy expertise including retail, long-term care, compounding, and hospital. Milton enjoys spending time with his wife Maria, two sons Michael, Marcus and his two grandchildren.